In this case study between Brixton and Camberwell we carried out sash window draught proofing, sash window refurbishment, and bottom rail replacement to an original sash window. 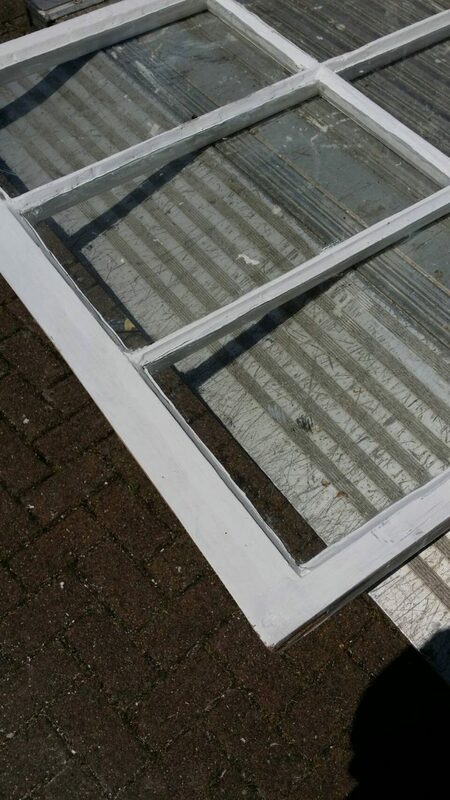 The windows were in quite poor condition and required putty work as well as small sash and frame repairs. Larger bottom rail splices and replacement were also required. The sash windows needed draught proofing because they were poor fitting, allowing considerable heat loss as ice cold draughts. Some sash cords were broken and the windows had not been refurbished for the best part of twenty years and were in much need of a good overhaul. We also offer our London double glazing sash windows services and if you’d like to learn about this then please follow the resource provided. We can double glaze existing sash windows, manufacture new sashes making use of the existing framework, and also provide free, no obligation quotes for entire double glazed sash window replacement. Brixton and Camberwell: Sash window draught proofing, sash window refurbishment, and bottom sash rail replacement. 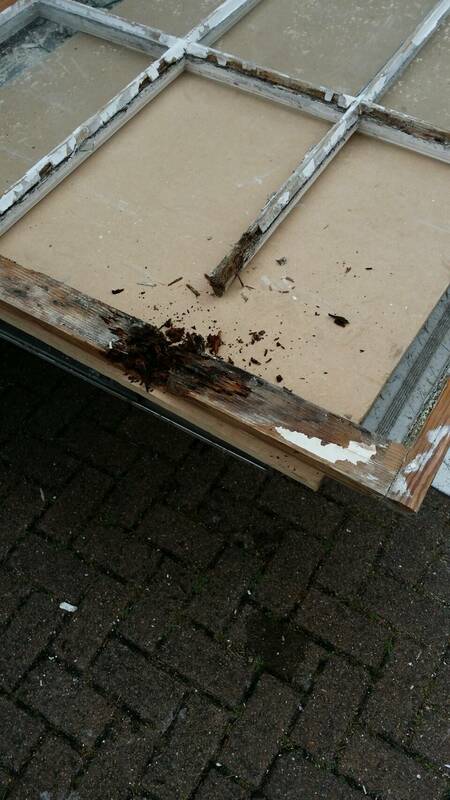 In order to repair and draught proof these sash windows the first step is to remove them from the frame. This had to be done carefully as the lower rail was so rotten the sash wasn’t strong enough to remove without the sash twisting and glass breaking. The other sashes in the house were in much better condition so we decided that replacing only the bottom rail was a better course of action to keep all original sashes in the property. Here’s a look at the house from street level with the sashes removed across the top of the property. Once the sashes were removed this provides a good opportunity to inspect the other sashes more carefully. Generally the condition was pretty reasonable just minor repairs, flaking paint, putty, and then we machined the sashes to install the draught proofing system. With sashes machined priming and draught seals are then installed ready for refitting. To learn more about sash window draught proofing installation please check the resource provided where you’ll find detailed diagrams and explanations. The lower rail replacement is the standout repair on this job. Firstly we cut away the lower rail and then stile is splices back to solid timber. The repair is then treated and dried before a new rail is fitted. The repair is then tidied up and strengthened with an epoxy resin. Here’s a look at the rail before we spliced out the rot. As you can see it’s in a pretty bad way but the sash has a large amount of glazing bar and therefore the savings to the customer quite considerable. The repair in view here cost just £120 while sash replacement is £250 so less than half the price. This cost also included the two broken panes of glass. If all sashes were in this condition we would certainly offer the replacement option, however for one sash on a run it makes sense to keep the originals all together where possible. 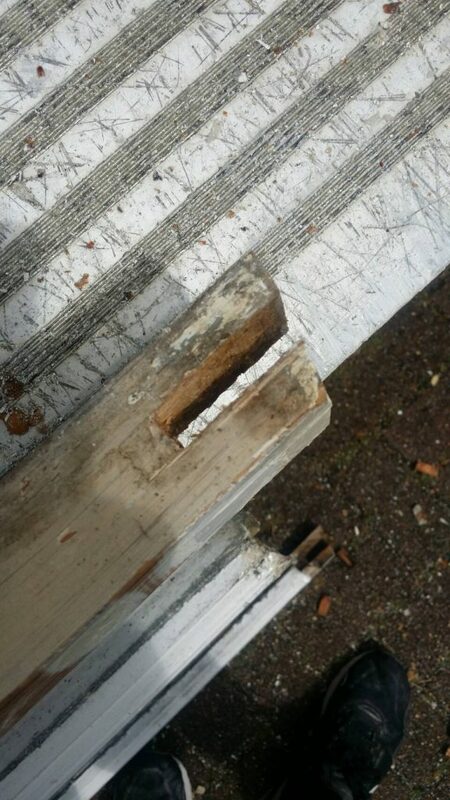 Once this repair has a chance to cure, priming and undercoating can be done to protect the sash from decaying again. With the new lower rail fitted it is also machined and then sashes are ready for refitting. Here’s a look at that rail replacement all repaired and ready to go back in the opening. There’s no obvious signs the sash has ever been splice repaired and could easily be mistaken for the original. If you like to learn more about sash window rail replacement repairs then please follow the link provided. New sash cords are installed and sashes are counterbalanced appropriately so the window stays open and can travel smoothly. The first step is to hang the top sash. Parting bead that has a brush pile system is then installed. Here is an image of parting bead with a brush pile installed. With parting bead installed and then lower sash and staff bead with a draught seal is then fitted. The window is sealed and sash window furniture installed. Security restrictors can then be inserted. With the security restrictors fitted you can get four inches of ventilation without worry about your window being left open. They also offer excellent value for money with regards to insurance requirements. Most insurers these days will only pay out in the event of a break in if you have a locking window mechanism installed. The security restrictor we provide at £22 does exactly that. We provide other sash window services to Brixton and Camberwell – if you haven’t found what you’re looking for on this page then please feel free to browse our sash window services page for a full breakdown of the local sash window refurbishment we carry out.